with Master Trainer David Kabler. The year started out right when I helped a client find her dream dog. After meeting with the guardian, and discussing her lifestyle and breed preferences, we determined that she was looking for a Nova Scotia Duck Tolling Retriever puppy. Working together we located several breeders that might provide a suitable candidate for her new companion. I called the breeders on our list and politely questioned them about their breeding programs and explained exactly what we were looking for– after several calls we located the perfect litter and made arrangements for purchase and transport. The pup that arrived had the perfect temperament. Breeder selection is incredibly important when buying a pure bred dog. Things to avoid are puppy mills and novice breeders who may not understand all that goes into responsible breeding. Later in January, I received an urgent call from a prospective client. She had just adopted a 6 year old German Shepherd Dog named Shadow. “I just picked him up and took him to the veterinarian and it didn’t go so well”. “What happened?” I asked. “He bit the Doctor in the crotch.” She dropped Shadow off that day for his Kabler Residency training program. I had an incredible time teaching this strong willed, dominant older male to successfully follow through with his obedience requests. He was very stubborn about his down request and it took me about a week and a half to win him over and get him to down for me. Going slow like this is the best approach for older dogs, especially older rescues who may have found themselves homeless when they exhibited one too many problems. By the end of the program Shadow was my constant companion around the house and on outings to parks and restaurants. His guardian called me after our private go home session so excited about the results of his training. He has been a perfect companion dog ever since with no more problems on trips to the veterinarian. French Barbet Truffles practicing his down stay request during his Kabler Residency. In 2013 I had helped some clients locate a Barbet puppy. They named the pup we found Truffles and he was a year old and now ready for his Residency Training. This is a rare French breed that has been winning people over with their exceptional personalities. My clients found out about the breed through a New York Times article. Over the next three weeks I learned lots about the character of this powerful breed. Truffles was very smart and quick in training. Barbet’s are very athletic dogs and this boy needed plenty of exercise. It was so much fun earning this dogs respect and trust which was vital in handling him on a day to day. By the end of his course we were having a great time going for neighborhood walks, visiting friends homes, and eating out at restaurants. It is so exciting when I see the smiles on clients faces when they see how much their dog has learned during their training stay. Gorgeous Standard poodle Diva practicing her sit stay request. 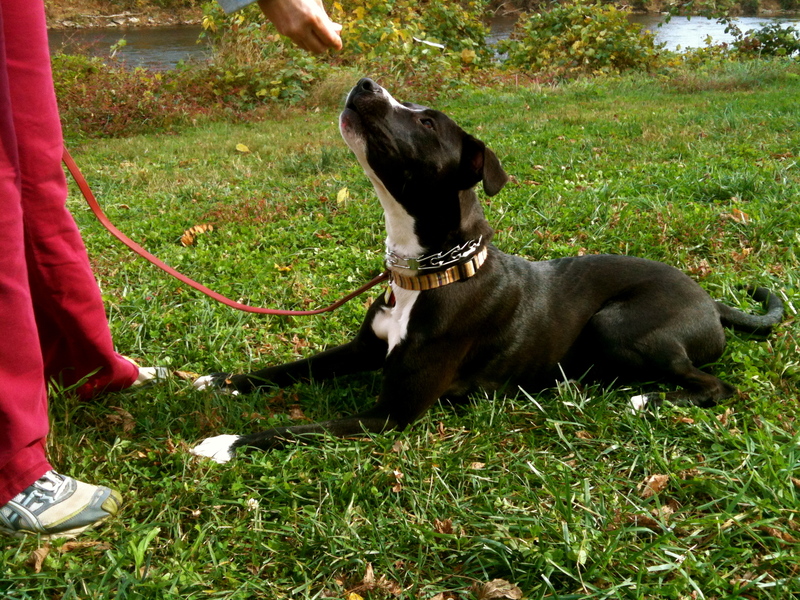 Diva’s guardian is disabled and decided to send her to me for her obedience and basic support dog training. I had an amazing time with this adorable standard poodle mix. She was so excitable but very smart. Using my unique training approach I was able to turn around her bad habits and successfully teach her manners and advanced obedience training. Diva’s daily work and play sessions gradually became longer and more focused. I had so much fun transforming her behavior, from a wild jumper, puller, and a dog who would run away into a dog that politely greets guests, walks politely even next to a wheelchair, happily performs long sit and down stays, and comes when called off of the leash every time. She was such a pleasure to have around the Kabler house– I miss Diva! 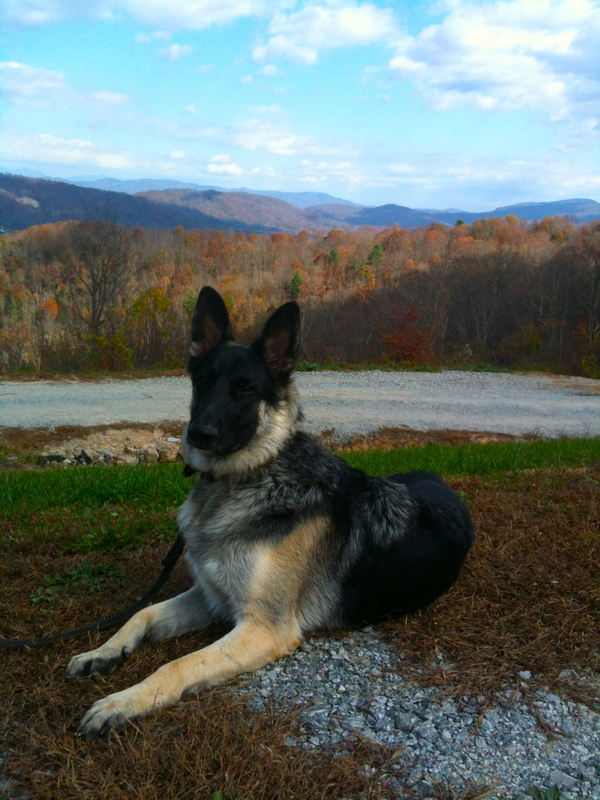 David out to dinner with Tundra, practicing a long down stay in West Asheville. Some old time clients from back in the 1990’s called me about their new German Shepherd Dog Tundra. I had trained their last German Shepherd and they were excited to tell me about their new puppy. 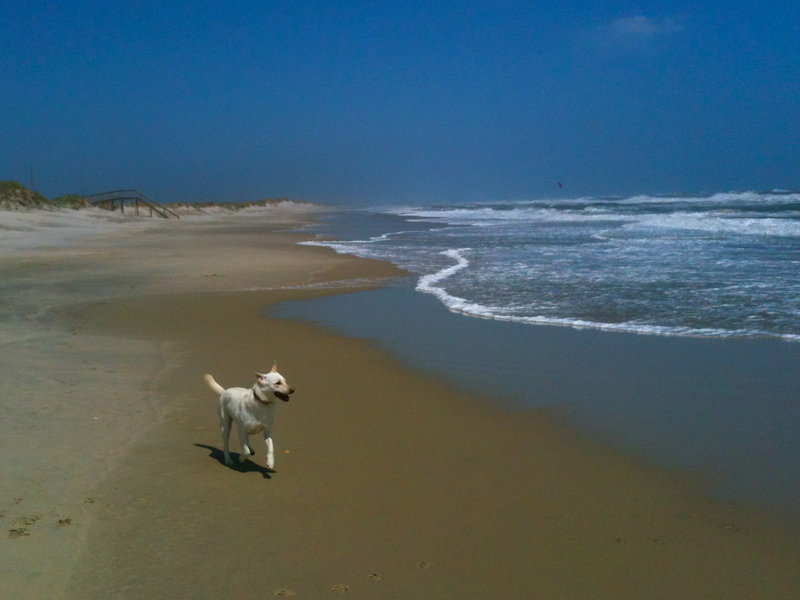 In 2013 they enrolled him in a week of puppy Residency training at 16 weeks old. 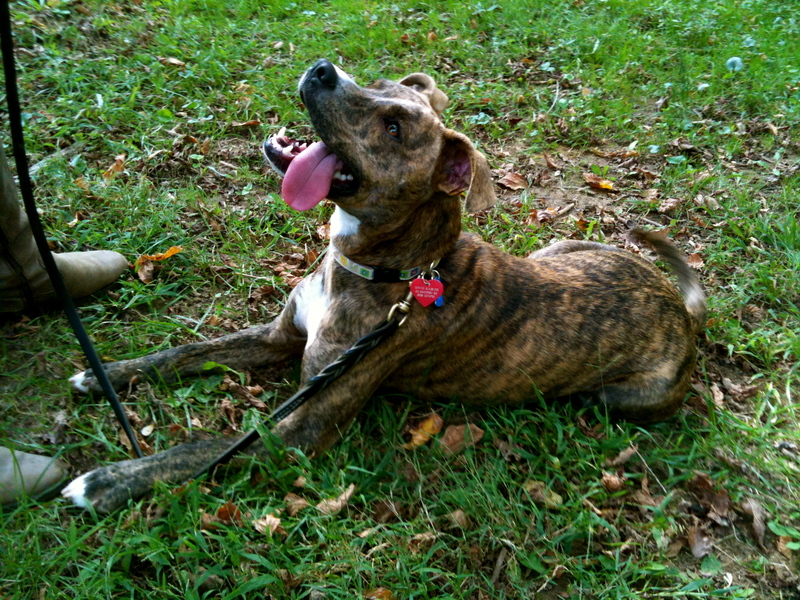 I fit him and acclimated him to a Gentle Leader collar and worked on his obedience, house training, and manners. At a year of age he came back for his adult training Residency. I just love German Shepherds and Tundra is a handsome and athletic white one. It was so rewarding guiding him and his human guardians from puppy all the way to adult. The Kabler approach raises highly social, confident, happy, and obedient dogs with maximum personality and Tundra was no exception. He graduated through the program excelling in all respects. He was such a pleasure to work with. Mother/daughter training together, preparing their dogs Arabella and Triton for a family move to Japan. I also completed many private courses of instruction this year. My private classes are very effective and fun– each session builds upon the last and the relationship between dog and human grows ever stronger from session to session. I guarantee all of my work and structure each program so that we are never in a rush. Call (828) 337-5792 to schedule your FREE consultation. French Bulldog Dilly had an amazing Kabler Residency with fabulous results. 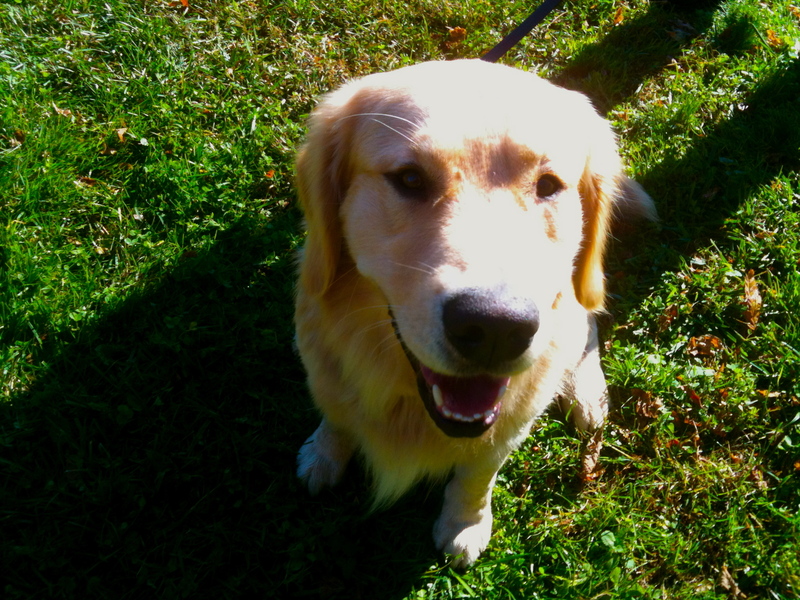 Establishing a healthy relationship with your dog is the most important aspect of training at Kabler School For Dogs. My comprehensive training approach will guide your dog in ways that will help you to grow bonds of friendship that will deepen your connection. It is always a pleasure when I see the relationship between guardian and canine become deeply rooted during training programs. Dogs that previously pulled and lunged become polite walkers that stay by their humans side even in the midst of high distractions. Dogs that previously had behavioral issues at home become a pleasure to live with. Kabler training courses are all about creating a happily trained dog that follows through with their obedience requests at home and out in the real world. Parks, residential neighborhoods, restaurants, and downtown areas are all destinations during a Kabler training program. This will ensure reliability of the training. 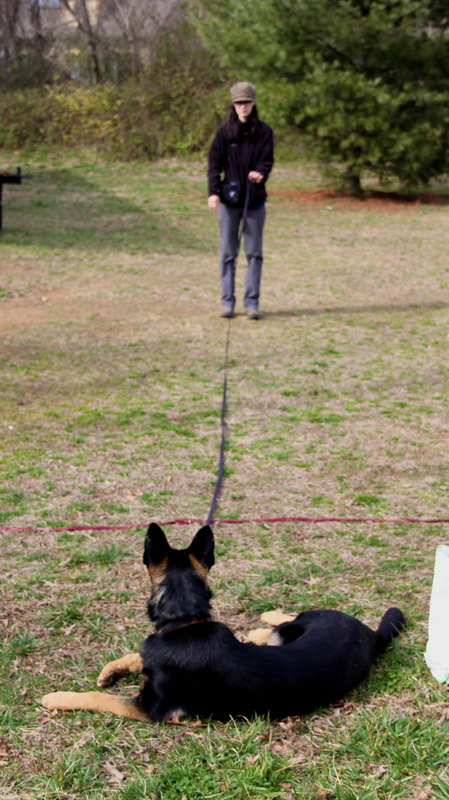 During a Kabler School For Dogs training program human guardians are also thoroughly trained in how to successfully work with their unique dog. Everything from obedience requests, to best ways to praise and motivate are customized to fit the needs of individual dogs and guardians. Building a relationship with your dog is one of the most rewarding friendships that you will ever experience. I make each class exciting and fun as your dogs training and friendship deepens and grows. I can’t wait to personally meet you and your canine best friend. Jack and Daisy having a blast during his residency. I am most grateful for the reliable “come” command you taught him. It makes every walk stress free to know without a doubt that no matter what situation comes along with another dog or other distraction, Jack will immediately change gears, run quickly and joyfully to me, and sit down. We are so blessed to have a dog trainer of your level of expertise living in our town! I wish you every happiness and peace in the New Year. The new Kabler School For Dogs crest. The new Kabler School For Dogs crest exemplifies the Kabler philosophy of teaching and training canines. The imagery within the design communicates the ideals that have always been at the foundation of the Kabler canine training method. The crest radiates a sense of nobility, respect for our dogs, companionship, listening to the heart, obeying the intuitive side of our nature, the attainment of lofty training goals, and the love that each canine companion gives freely to us every day. When I look at this crest, I am reminded of all the challenges that I have overcome to learn this knowledge and wisdom of training dogs. I am thankful for all of my teachers and their different styles– ultimately training is a tradition passed from one trainer to another. I remember all the hard work, the hundreds of dogs that have taught me so much over the years, and the dedication that it took to find success. In my minds eye I can see the beautiful inner spark of each individual canine that I have trained. I am thankful for all the Guardians I have taught whose families will be forever enhanced by sharing their lives with a well trained dog. Belgian Malinois Barry Kabler, PH1,CGC clears a 5 foot fence. A well trained canine companion add so much to our experience. Kabler Teacher, Scott Mueller, Inducted into IACP Hall of Fame. David’s teacher and mentor Scott Mueller in front of National K9 School of Dog Trainers. Scott trained the world’s first handicapped support dogs and has been inducted into the International Association of Canine Professionals Hall of Fame, a tremendous honor. In 1996, I graduated from National K9 School of Dog Trainers where I had the pleasure of being taught by school founder Scott Mueller. Scott pioneered the use of dogs for handicapped support service, having trained the first dogs for this purpose in the 1970’s. I am very proud of the education I received at National K9 and am thrilled that Scott was recently inducted into the International Association of Canine Professionals Hall of Fame. Scott is in excellent company; with the likes of the Weatherwax Family who trained Lassie, The Monks of New Skete, Dr. Ian Dunbar, and Cesar Milan; all having also won this incredible honor. My experience of being taught by Scott gave me an amazing foundation of knowledge about dogs and how they think. He encouraged me to work extremely hard towards my Master Trainer Certification. Scott was the first to suggest that I start my own business, giving me the confidence boost I needed, telling me that he believed I would achieve tremendous success. He helped design my school logo and inspired my professional career. David’s Master Trainer Certificate signed by legendary dog trainer Scott Mueller. While at National K9 I learned how to properly raise puppies for service and family, how to effectively train handicapped support dogs in all manner of assistance work, scent detection for Search and Rescue, protection dog training, and so much more. I was instilled with a strong sense of professionalism and respect for all the trainers who came before– pushing the field to higher levels of understanding and achievement. The mild Winter we’ve been having has made training outdoors a real pleasure this year. So many clients wait until Spring to start their best friends obedience training and this year many new clients are taking advantage of the gorgeous weather. All of David’s training sessions are run out in the real world. It’s been busy training with clients at local parks, downtown Asheville, outdoor cafes, Bent Creek, and in clients homes. Training your best friend makes for a happier, healthier, more communicative, and less anxious best friend. Not only that, but teaching your dog the skills of obedience is one of the most satisfying and enjoyable experiences that you can share with your canine.